Are you searching for a large vehicle that can seat up to seven passengers with ease and still carry a massive amount of cargo space? If so head over to Greenville Chrysler in Greenville, TX and check out the 2016 Chrysler Town & Country. We are proud to be an automotive leader in the area, Greenville Chrysler has served Rockwall, Commerce, Bonham, Paris, Sulphur Springs, and Tyler, TX for a number of years with an excellent collection of Chryslers in stock. Stop by Greenville Chrysler at 5401 Interstate Highway 30 and discover the new Town & Country today! 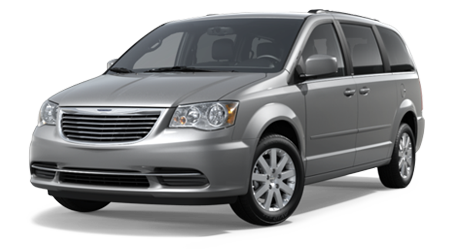 There are a lot of great options in the minivan segment, so let's see how the 2016 Chrysler Town & Country stacks up against the Toyota Sienna. Minivans may not be recognized for having powerful engines that can provide drivers with a sporty ride, but one of the engines can allow you to tackle a variety of driving situations with ease. The Town & Country is fitted with a 3.6-L Pentastar V-6 that generates 283 hp and 260 lb.-ft. of torque. On the other hand, the Sienna has a 3.5-L V-6 makes 266 hp and 245 lb.-ft. of torque. With the Town & Country's more powerful engine, you will get a comfortable ride on a daily basis. 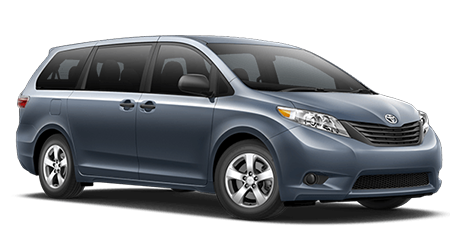 Conventional minivans are some of the most versatile and usable vehicles on the road. If you plan to use the vehicle that can tow a large amount of cargo, then the Town & Country is the clear choice. The Town & Country's more powerful engine allows the minivan to tow up to 3,600 lbs. and can carry up to 1,398 lbs. in its bed. With the Town & Country's amazing towing capacity, you can enjoy the minivan on a regular basis. Chrysler backs every one of its vehicles with a lengthy warranty. With the Town & Country's extensive warranty, you can drive the vehicle with the utmost of confidence. The minivan comes with a 3-yr./36,000-mile basic warranty, 5-yr./100,000-mile drivetrain warranty, 5-yr./100,000-mile roadside warranty and 5-yr./100,000-mile rust warranty. If you have been looking for a minivan that can complete all of your daily needs, then check out the 2016 Chrysler Town & Country. With the Town & Country's powerful motor, extensive warranty and great towing capability, it has the upper hand over the Toyota Sienna. Come by Greenville Chrysler at 5401 Interstate Highway 30 and explore the Town & Country today.